Kelmarna is primarily run by volunteers, and everyone has something to contribute. 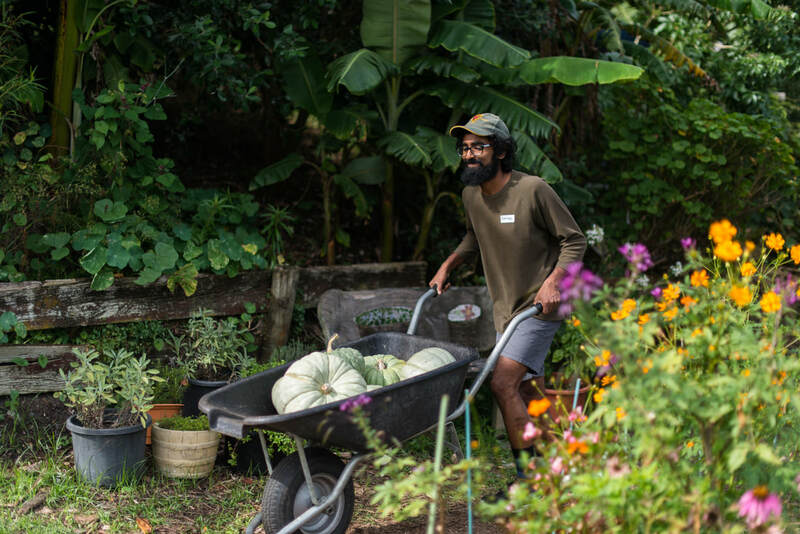 Volunteering at Kelmarna is a great way to gain practical experience with organic gardening and farm management, meet new people, and make a positive impact for your community. Our Garden Volunteer day is every Tuesday, from 10am - 2.30pm. Whether you have lots of gardening experience, or none, this is a great opportunity to learn new skills and get to know the Kelmarna site and how we manage it, with lots of support from our team and your peers. We have a small team of awesome volunteers who sell our produce at Grey Lynn Farmers Market on Sunday mornings on a rota basis. If you could help us out for a couple of hours, roughly one Sunday per month, please get in touch with Andy at kelmarnagardens@gmail.com. It's an easy, fun, and sociable weekend volunteering opportunity, and the money from market sales makes a huge difference for Kelmarna. We host a lot of regular and one-off visits from school groups (primary through to high school), where we engage children with the natural world, food and where it comes from, and sustainability. It's really rewarding seeing their knowledge and understanding grow over time. If you enjoy working with kids, have an interest in nature (some gardening experience is great but not essential), and would like to give us a hand with teaching for a couple of hours a week, please get in touch and come and try it out. If you are good with your hands, we always have things that need fixing up, taking down, putting together or taking apart. We have plenty of odd jobs for a variety of skill sets. If you'd like to volunteer to support Kelmarna with other skills outside of the gardens (admin, fundraising, design, IT systems, event management, anything you think might be useful) please get in touch! 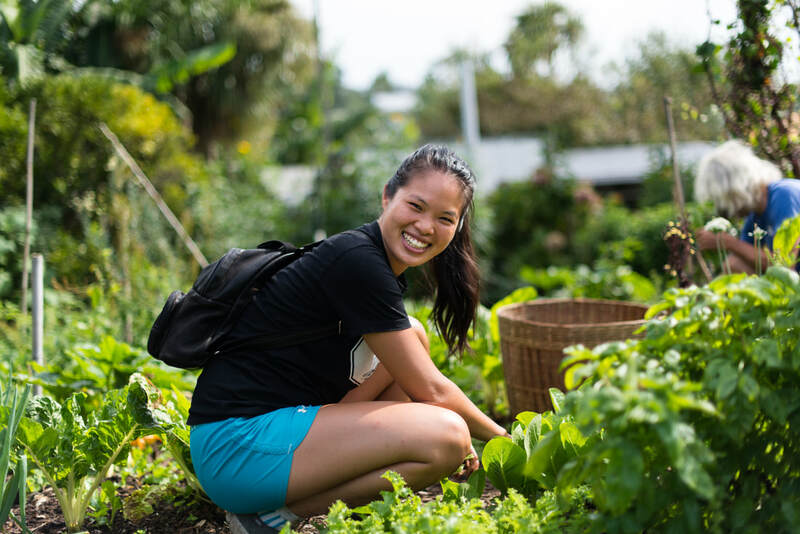 Volunteering at Kelmarna is a great team-building experience for your team to get out of the office and get your hands dirty, working outdoors in one of the most beautiful natural spots in the heart of Auckland. Hosting team volunteer days for corporate or community groups is awesome for us too, as there's always lots to be getting on with here, and the extra help is really needed and makes a real difference for Kelmarna. Click here for more info about what's involved, or give Adrian a call on 09 376 0472 if you'd like to discuss further. ﻿Physical address: 12 Hukanui Crescent, Ponsonby, Auckland.